When a transport mission that takes you in to outer space goes sideways, it’s up to you to figure out what is going on. Your mind and intuitiveness will be tested. The Artifact is an indie-puzzle game that will have you solve puzzle after puzzle just to discover the truth. Are you up for the challenge? The story of The Artifact lacks a real plot. It feels like it is telling all different kinds of stories without ever concluding one of them. 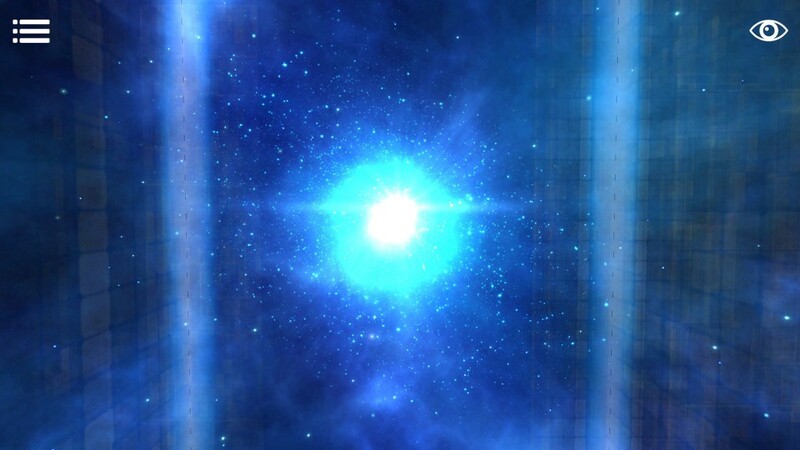 The game starts with you awakening from cryogenic stasis. After being awoken by the alarm you step out of your pod. The first thing you notice is that there are three pods but the other two remain shut. Somehow you are the only awake. There must be some sort of system failure. Time to figure out what is wrong with the ship. You enter the room which houses the artifact. For some strange reason you feel that the artifact is calling to you. Since there is no one else but you around, you might as well investigate it yourself. After interacting with the artifact you suddenly find yourself outside. Having left the comfort of your ship behind. You stumble upon a small encampment. The encampment itself looks human. It has the same technology that can be found on your ship. But they have been studying what seems to be an alien ritual site. It’s a good a time as any to pick up where the others left of. What happens if the ritual is complete? The story in The Artifact is divided in to four chapters. 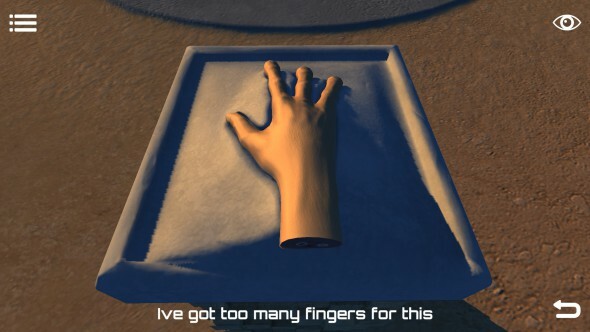 Handling the story this way should (in theory) allow the developers to set up a strong narrative. They start off strong but seem to lose their grip towards the end. This results in the story falling apart. What happened to the rest of crew, why were you the only that woke up and what exactly is the artifact? These questions are never really answered. Throughout the game you will find monitors containing notes that expand upon the story trying to fill in the gaps but it’s not enough. This is where the game will surprise you the most. The Artifact may not be the most complex of games but the graphics are not that bad. There are certain instances where the game looks amazing. Take the first big open space for example. 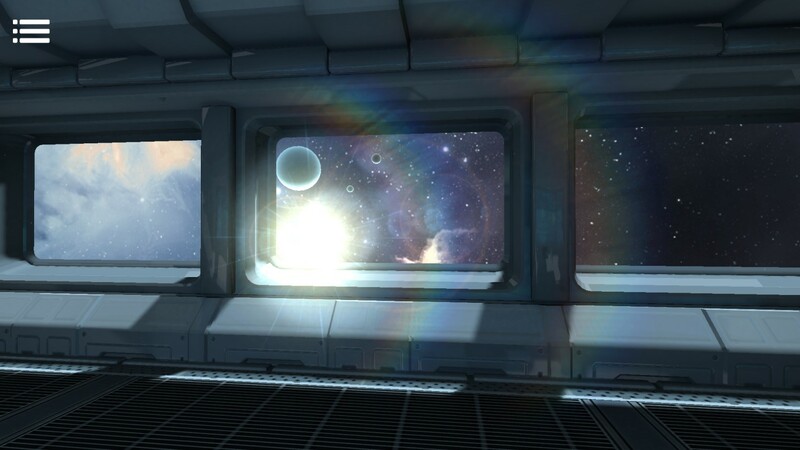 As soon as you walk through the door and turn to the window on the right you’ll have a beautiful view of deep space. During the second chapter you are in closed of room and suddenly the environment has been dumbed down a little. The walls are a lot less lively and detailed. Luckily this is something you’ll only experience during that chapter. There are however somethings that can’t be unseen. The objects that you are supposed to interact with will stand out. You can immediately spot the difference between something that will be of use to you and something that is just there for aesthetic purposes. These are things you used to see in old cartoons. Things that were going to be interacted with were a lot more defined. But for some it might make the game a bit too easy. As soon as the game starts an alarm will go off. At first, it’s not that bothersome and makes it feel like you are in dangerous situation. But stay in that starting room for too long and you will start getting really annoyed. As soon as you get past the first room the alarm will disappear in the distance and everything is okay again. Finally, you can hear the nice ambient background music. The music is a perfect fit for the environment. But that’s about all there is to it. Across the 4 chapters the music never really changes. It’s a nice 30 second track that seems loop infinitely. It would have been nice to see changes the music depending on the chapter that you are in. The games feel like it would really shine if it had a voice over. 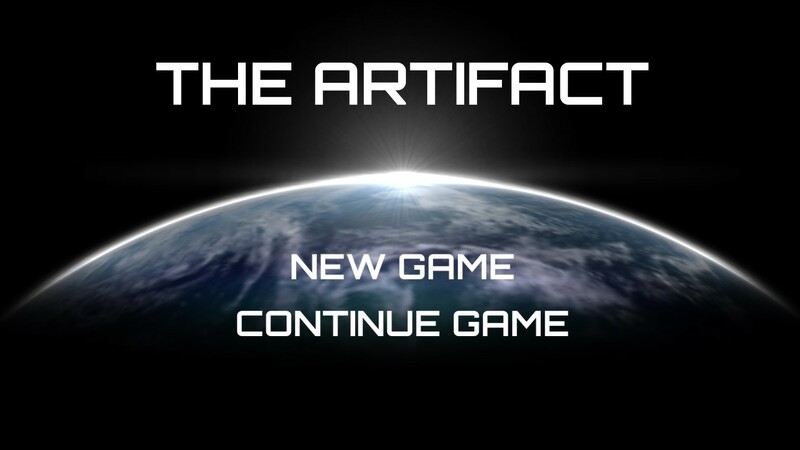 The Artifact is an indie-puzzle game so the emphasis lies on puzzle gameplay. The game is simple and easy to understand. But that doesn’t make it less challenging. On the main menu screen there is an option to toggle hints on/off. So if you are more of an experienced puzzler you might want to turn those hints off. The game offers a few different set of puzzles. You’ll encounter things like; find the right code, memorize the pattern, tile puzzles, etcetera. During your time playing you will also be augmenting your eyes. There are two augmentations that you will acquire. 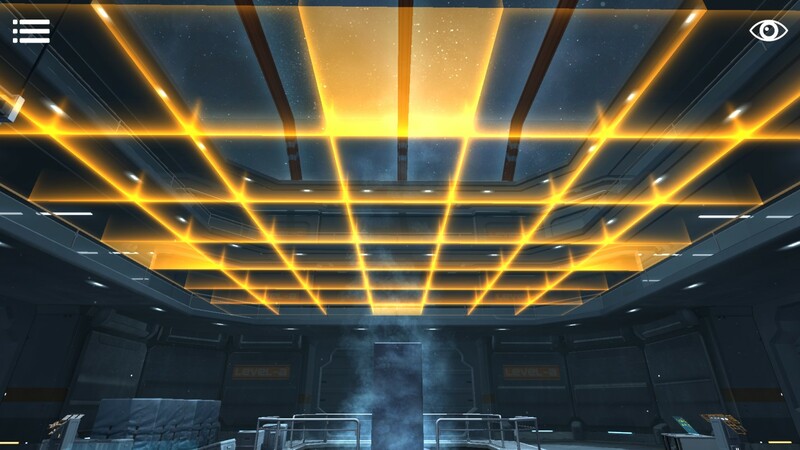 Your first augmentation will allow you to see places that have been touched and therefor radiate heat. It’s called AR-vision but basically function as infrared vision. The second augmentation is called the DNA-augmentation will allow you to see fingerprints. To move around in the game you just point and click to the place you want to go. You will move to a fixed location and are able to look around again. If you click on a certain object you will focus on it and are unable to move. You can return to your previous position by using the back feature found in the bottom left. However this doesn’t always function properly. The game might be a bit simple in the way the puzzles are handled and the story seems to be losing itself towards the end. Some things might not seem finished in certain places but the game really isn’t that bad. Even though it might seem simple you’ll still be satisfied after every puzzle that you complete. It’s a nice little distraction and it will offer you about 1 hour of gameplay. Sadly the story lacks a defined plot and doesn’t provide an answer to your questions. It feels like the game would do really well if it was voiced. 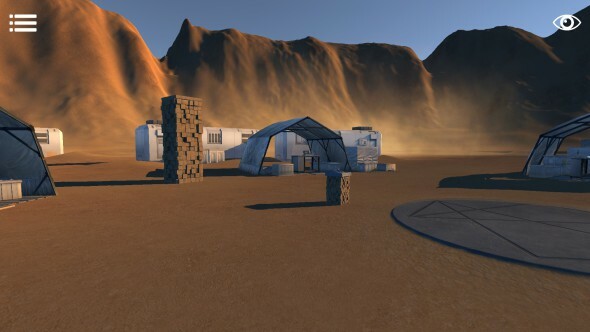 Also a VR version of this game would work great, since you are bound to fixed locations when moving around. The Artifact has a lot of potential and if the developers ever decide to update the game then maybe it will be worth it’s price. Right now you can pick up the game for 7.99 EUR/USD on steam, which is a bit steep for what the game actually offers. But if The Artifact ever goes on sale then it is definetly worth picking up. Student, gamer, entrepreneur and life contemplator.